Sharon is a Partner in the Employment team specialising in the provision of HR/legal/strategic support to businesses (and senior employees) in the private and public sector. This ranges from advising on dismissal/grievance situations, discrimination, breach of contract, and tribunal representation, right through to the sale and purchase of businesses (whether healthy or distressed), reorganisations, TUPE and redundancies. Sharon has also written and edited various legal publications (including Croners and HR Xpert) and writes regularly for the wider HR press. She is a regular speaker at seminars and workshops and provides in-house/external training. Sharon joined Clarke Willmott in 1994 as a civil court litigator after completing her training at Laytons LLP. For the last 23 years she has specialised in employment law and heads the Bristol team. 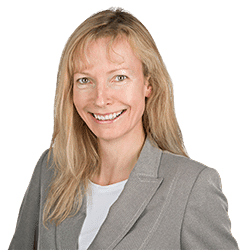 Sharon is repeatedly ranked and recommended by clients in Chambers and Legal 500 who note that she is “knowledgeable and helpful”, Chambers UK 2017, and has “a good commercial perspective, and gives pragmatic advice in an understandable way”, Chambers UK 2016. Sharon is a member of the Employment Lawyers Association and the Institute of Directors.